It is a balmy October afternoon in south Florida, and I am driving toward the Ah-Tah-Thi-Ki Museum on the Big Cypress Seminole Indian Reservation to meet members of Native Nations Dance Theatre. I can hardly believe this country road is a mere 80 miles west of the ugly billboard-burdened landscape of Ft. Lauderdale. The air is fresh. I’ve seen more than a dozen species of birds, and marsh grass punctuated with small copses of trees extends in all directions. Native dance has a long performance history. William F. Cody toured his mélange of history and schmaltz, “Buffalo Bill’s Wild West,” throughout North America for three decades and played successfully to crowds across Europe. More recently, choreographers like Ted Shawn (in the 1930s), Rosalie Jones, and Belinda James have created dances for Modern companies illustrating Indian cultural and ceremonial life. Now, Native groups such as the American Indian and Native Nations Dance Theatres, Yellowbird, and Le La La Dancers earn awards, perform for presidents, and tour the world educating child and adult audiences about what it means to be Indian. Native dancing today is a mixture of the ceremonial and social, its purpose to gather energy for healing, usher people through the stages of life, encourage closeness between generations, promote responsibility, duty, brotherhood, creativity – and also to have fun. Since dance need no longer be held in secret (Indian dancing was illegal in parts of the U.S. and Canada from 1883 – 1957), alongside the explosion in Powwow, professional Native troupes preserve tradition in song and dance by adapting ancient ceremonial arts to social and entertainment venues. These dances are associated with skills for eking a living in the wild – sewing, cooking, hunting and riding horses. They are rooted in the music of elders, and in songs that come to individuals in dreams. In America, most people think of Pow-wow – a social gathering involving competition for money – as the only surviving Native dance. Intertribal powwows were first held when Northeast tribes were herded onto reserves in the early 1800s. At least 260 different languages were spoken among the original Americans, so there was a deep need to cross linguistic barriers. Dance was one solution. Contemporary Pow-wow dancing has become improvisational in spirit, with loose connections to traditional dance. Most performers interpret Warrior Society dances: the Jingle, Hoop, Grass, Fancy, and Shawl. Once used only for prayer and healing, these dances appeal to audiences today because they are accessible, employing repeated steps and pantomime to convey Native vision and experience. For the Hoop dance, as many as 30 circular reeds at a time are manipulated to form the shapes of flowers, eagles, turtles, butterflies and other animals. Grass dances evolved on the Plains and feature regalia with long fringes to simulate rippling grass, and belt and head ornaments formed with a fragrant plant related to sage. Fancy dancers wear colorful feather bustles, and display great freedom of expression in footwork, spins, agility, stamina and artistry. A popular competitive piece at Pow-wows, the Fancy Shawl dance may have originated as a Butterfly dance. The female butterfly mourns the loss of her mate by retreating to her cocoon, represented by the fancy shawl. Her emergence celebrates her freedom and the start of a new life. In the Southwest prohibitions against dancing began in the 17th century with the Spanish conquest of the area that is now New Mexico. This impulse to outlaw Indian ritual and Christianize struggled against sporadic fits of common sense into the late 1960s, when Apache were still referred to as “devil dancers” in American books, encyclopedias, and magazines. While the United States government’s ban on Indian religions in the 19th century targeted the Sun dance and Ghost dance in particular (one because it was perceived as barbaric, the other because its organization as a new religion might have had political ramifications), effects spread to all other aspects of native life. By 1884, any form of Apache ceremony was banned. This included religious language, words such “medicine man” – any name that had spiritual or political significance. The Apache warrior ceremony was also disallowed. Therefore, young boys could no longer complete their training as men. Gatherings of any kind were forbidden because the government believed such meetings encouraged outbreaks. “The bottom line is assimilation,” says Duncan. “With no land, no song, no dance, no cultural integrity,” survival as a separate people is difficult. is one reason why dance and music have not only survived, but thrived. Unlike so many Native American tribes who were forcibly removed from their homes, the Apache continue to live on land located within their traditional territory. In the past, Apache ceremonies offered healing for people who had broken a taboo or offended a spirit. Today most healing takes place within the individual. But traditional dances are much modified for performance in public. In the Kwakwaka’wakw language Le La La (pronounced lay lah lah) means ‘moving from here to there.’ In 1987, George Taylor, a social worker in Vancouver British Columbia whose father is hereditary chief of the Kwakwaka’wakw people, moved to the tribe’s rural center, on Vancouver Island, to allow his children to become familiar with Potlatch culture. 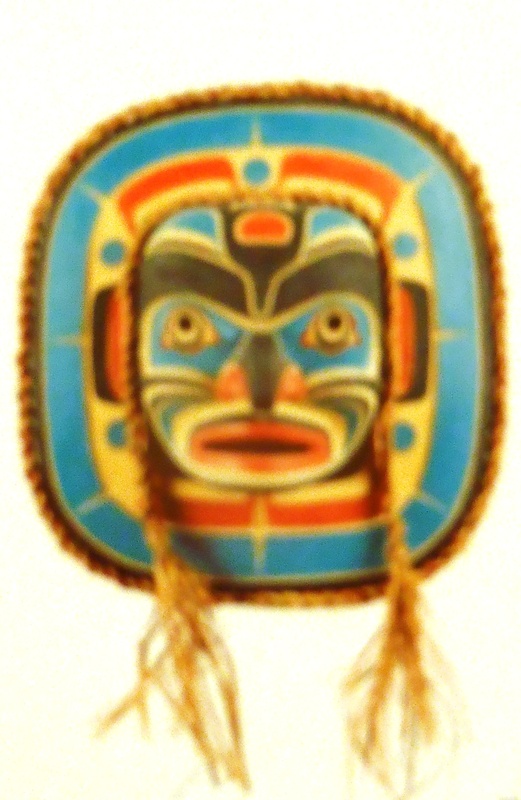 Potlatches are put on by chiefs for healing, totem pole raising and presenting masks. Guests are witnesses to these events and give the chief his authority, since Kwakwaka’wakw chiefs lead by the consent of the people. At the potlatch, chiefs offer gifts to the guests, demonstrating sacred duty to each individual in the tribe. Because Canada’s government outlawed Potlatches, only recently have elders given permission for people to share elements of the culture outside the tribal environment. Sporting their family crests and button blankets, Le La La performs shortened versions of 20 traditional Potlatch dances, like Raven, Echo, Blessing of the Headdresses, and Spirit of the Masks. They explain to the audience where each dance comes from and how it teaches respect for oneself, tribe, environment and Mother Earth. Begun in 1987 by UCLA Professor and Great Performances writer Hanay Geiogamah, AIDT is an assemblage of Native dancers and musicians crossing tribal lines. Before adding traditional dances into its repertoire, AIDT first gets permission from tribal leaders, often asking elders to teach intricate steps and offer advice about regalia and music, thus preserving authenticity. “Whenever we add a new piece, we first make sure that there are no religious restrictions to performing that dance in public,” says Geiogamah. Native Nations Dance Theatre performs at schools and museums. Typically the dances employ flute music and recorded or live drum. Flutes, once used only for courtship, can be made of cedar or ash. Other instruments include conch shell trumpets, bone whistles, and turtle shell horns. NNDT is made up of performers from Seminole, Lakota, Blackfeet, Cherokee, Creek, Delaware, Aztec, Cree, and Flathead tribes. This cross-cultural community allows them to grow in unpredicted ways. “When healing dances are performed, you don’t always know who is being uplifted or healed,” says director Vaughnda Hilton. There are taboos on recording dances and on who may dance. Since movement is passed between generations and may be owned by an individual or tribe, there might be no qualified person to receive dance. The strongholds of Indian culture are in New Mexico and Arizona, among the Navajo, Pueblo, Hopi and Apache. Tewa Pueblo have been successful in retaining the integrity of their dances by keeping them secret, and excluding outsiders. When they perform in public they do so away from the kivas and plazas, with altered contexts and purposes. Duncan is concerned when dance performed outside of Native contexts is divorced from the culture, like a harvest dance performed in winter, or a men’s dance by women. He is also suspicious of dancing for the wrong motive, profit, and of dances taught rather than received from the ancestors. Misinformation about indigenous peoples prevails due to distortions of commercial media, isolation of indigenous communities, stereotypes, and inevitable change. Dance is not static. It evolves, slowly or rapidly with the circumstances in the surrounding world. American Indian culture is also changing as different voices emerge with each new generation. But, especially in threatened communities, people can be wary of change. Finally, there’s the question of who’s included. “On the reservation there is a Sacred Tree, an ancient tree struck by lightning three times but still living,” says Duncan. “The earth beneath it is holy ground. Before the Warriors left the reservation for Vietnam, the Sand Painting ceremony was held there. Both Indian and non-Indian families showed up, bringing photographs and articles of clothing. Le La La – New Zealand, February; and China, March; European tour plans for fall 2007 are in the works but not set. Yellowbird – Bergamo and Rome, May 31 to June 10; June, Guatemala, Panama and El Salvador; July and August, Scotland, Northern England; Olympic Games, China 2008. NNDT – England, France and Italy, July and August. By Miriam C. Jacobs in ESSAYS/ SCHOLARSHIP on April 2, 2007 .